The small house that Baldev Bhoi built with funds from Indira Awas Yojana today houses a primary school with 36 students. A poor landless villager in Torchakani village of Muribahal block here has been running from pillar to post demanding his house back. Ironically, it’s not any land mafia or private builder who has encroached upon his property, but a school. The small house that Baldev Bhoi built with funds from Indira Awas Yojana (IAY) today houses a primary school with 36 students. 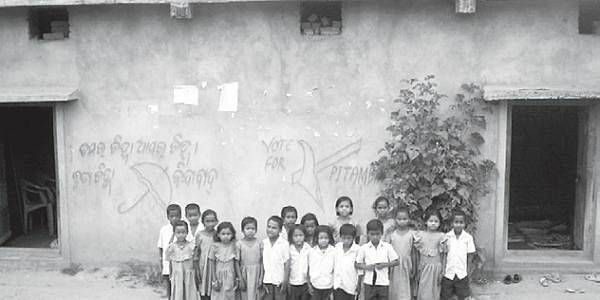 As the school building was damaged two years back, villagers decided to temporarily house the school in Bhoi’s newly-constructed house to which the latter agreed. Officials concerned assured him to finish construction of the school building in two months. In the meantime, he continued to stay in his thatched house. For construction of the school building, authorities sanctioned Rs 1.45 lakh. However, two years have passed and construction is far from over. In fact, with funds exhausted, work has been stopped mid-way. Meanwhile, Bhoi along with other villagers has been requesting every official in administration to get his house back, but in vain. “They say that the official file of the school building construction work has gone missing. No one is ready to listen to me,” lamented Bhoi. The District Project Coordinator of Sarva Shiksha Abhiyan, Kabindra Sahu, said he would call for an inquiry into the case.